MegaPress XL makes connections in under 25 seconds, saving time and enhancing efficiency. 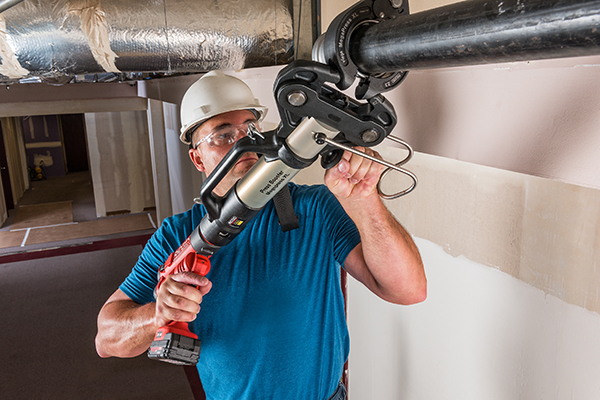 Simply attach the booster to the end of the RP 340, press the trigger on the tool three times, and you have a secure press connection. Hard-to-reach angles are a breeze with an actuator that can rotate 180-degrees on the press ring. Weighing less than 22 pounds and coming with built-in carrying handle and strap, the MegaPress XL Booster is designed for portability and easy transport between jobs. The primary kit includes the XL Booster, 2.5” ring, 3” ring, 4” ring, and high quality carrying case. After success in Europe, RIDGID and Viega introduced ProPress® to North America in 1999 and continue to have a strong partnership to this day, resulting in continuous tool innovation and design. 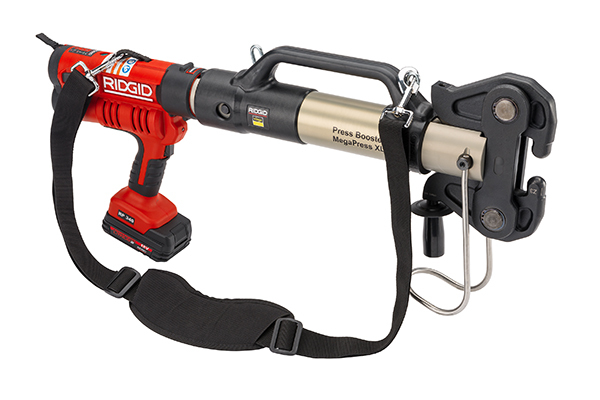 RIDGID press tools are unsurpassed in making quick and reliable connections on copper, stainless steel, black steel, PEX and multi-layer tubing. 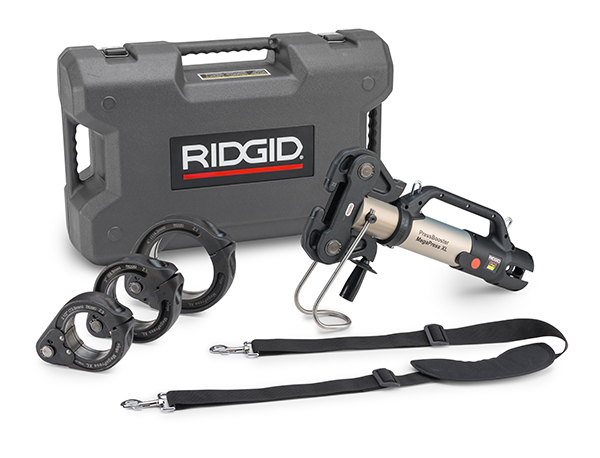 All RIDGID press tools come backed by the RIDGID Full Lifetime Warranty. 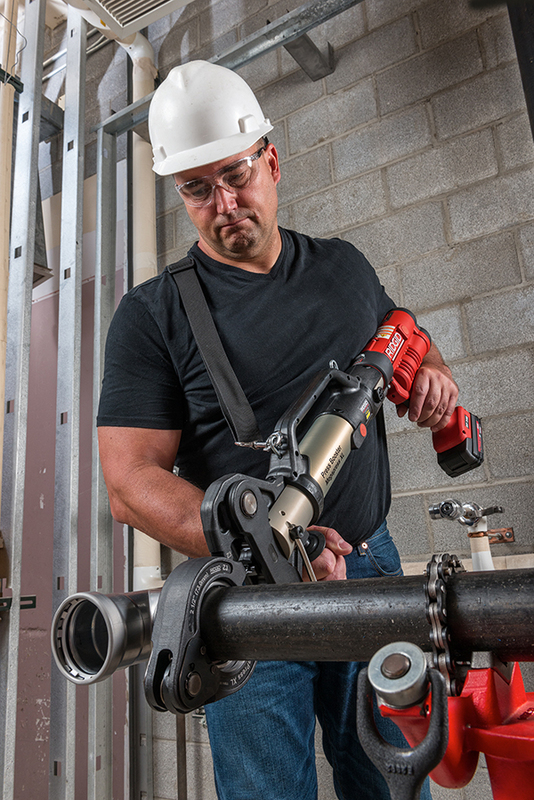 To purchase or learn more about MegaPress XL or other pressing solutions contact your local distributor, visit RIDGID.com, or call toll-free: 1-800-769-7743.